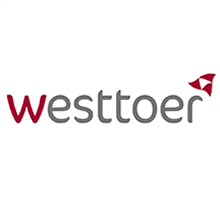 Westtoer – the tourist board for West Flanders, in Belgium – wanted to drive up standards and performance in the hotels, restaurants, attractions and leisure businesses along the Flemish coast – in resorts such as De Panne, Knokke-Heist, Ostend and Blankenberge. Paul Hickey, Managing Director at Tourism Growth Ltd, worked with Westtoer in Bruges to devise and launch the ‘Q Label’ quality accreditation scheme. To ensure that standards and performance levels continue to be pushed up in the long term, Paul also trained a key group of business coaches – a team of hospitality and tourism professionals from across Belgium – to run and administer the scheme. The results have been impressive – by July 2014, over 150 tourism businesses had been awarded the prestigious ‘Q Label’ quality standard and the scheme continues to go from strength to strength. “We were extremely pleased with the work Paul carried out for us here in Bruges. His experience of devising and implementing similar schemes for the UK tourism industry was a key reason in selecting him to work with us in Belgium.